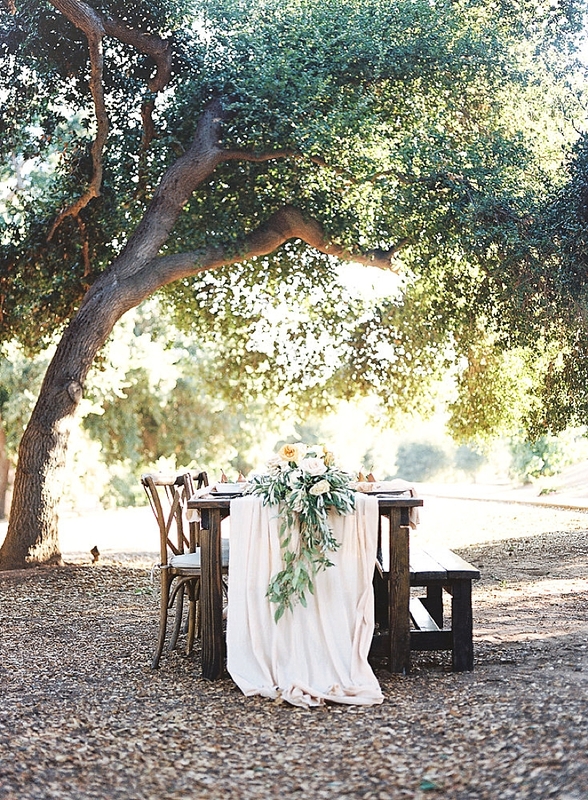 "The Chateau Adare venue is found perfectly nestled in a grove of California Oak trees on the dreamy Santa Rosa Plateau in Murrieta, California. 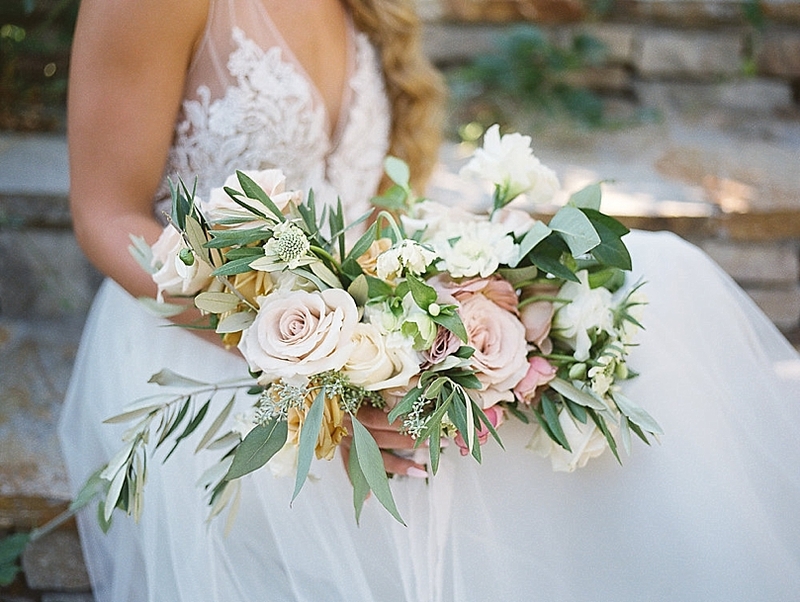 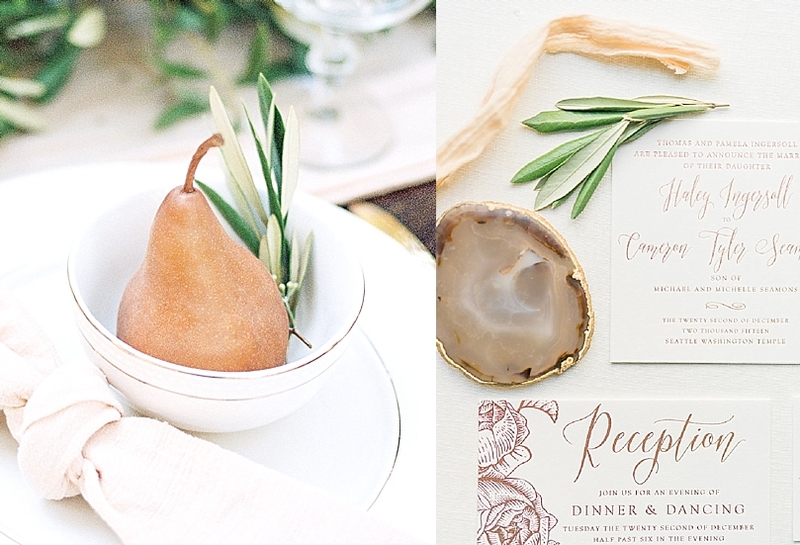 Inspired by the colors currently found in the rolling hills surrounding this Southern California venue, our shoot featured a palette of golden organic pear hues, rustic champagne, pale mauves, and various neutral greens. 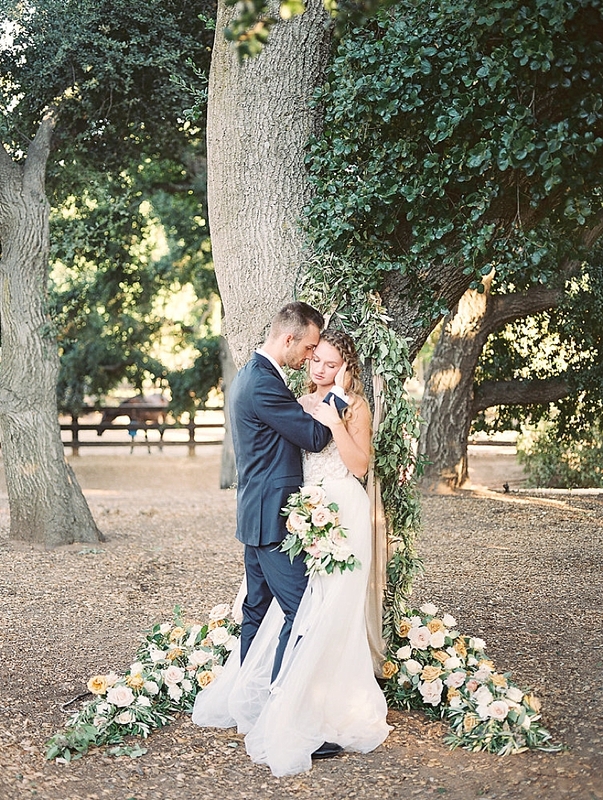 Our arrangements by Emily Pine of The Fern and Flower included a variety of roses, olive tree branches, and eucalyptus. 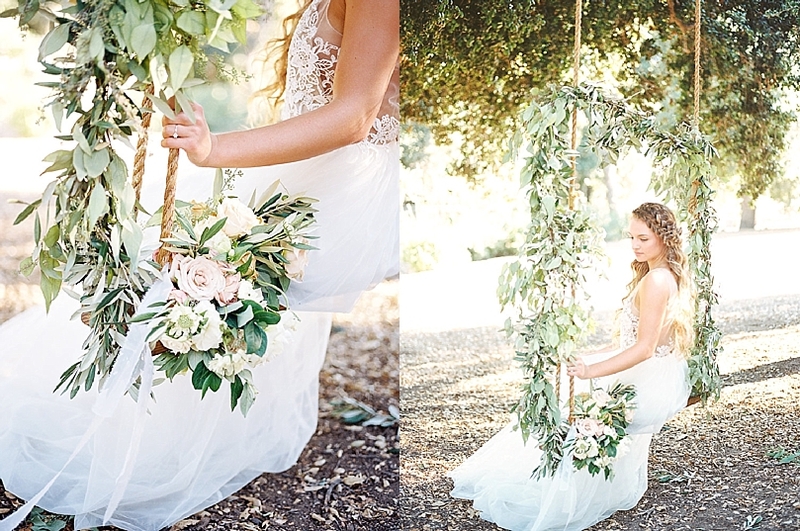 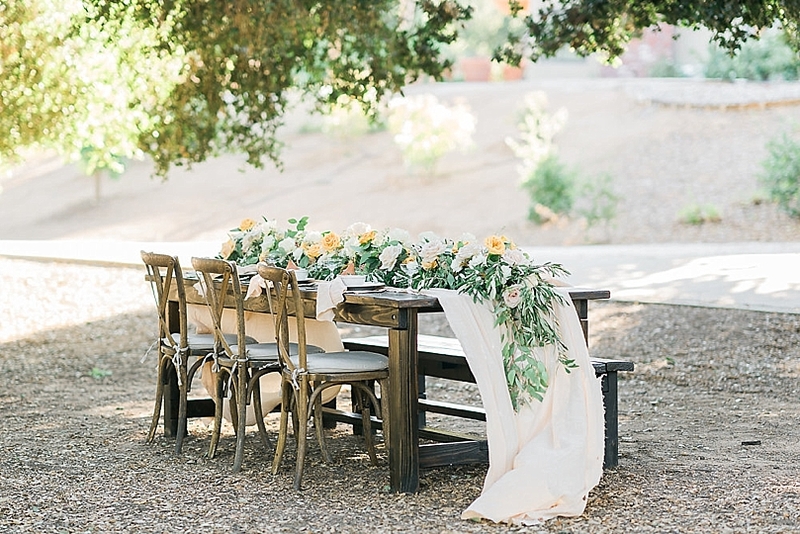 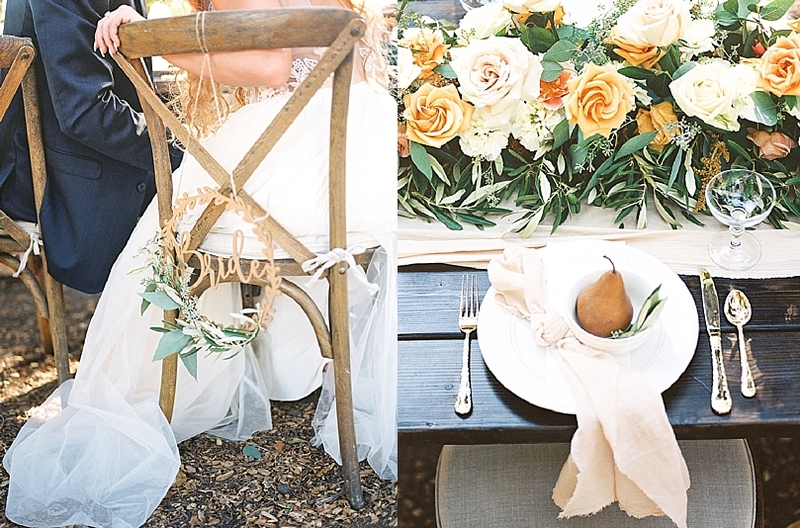 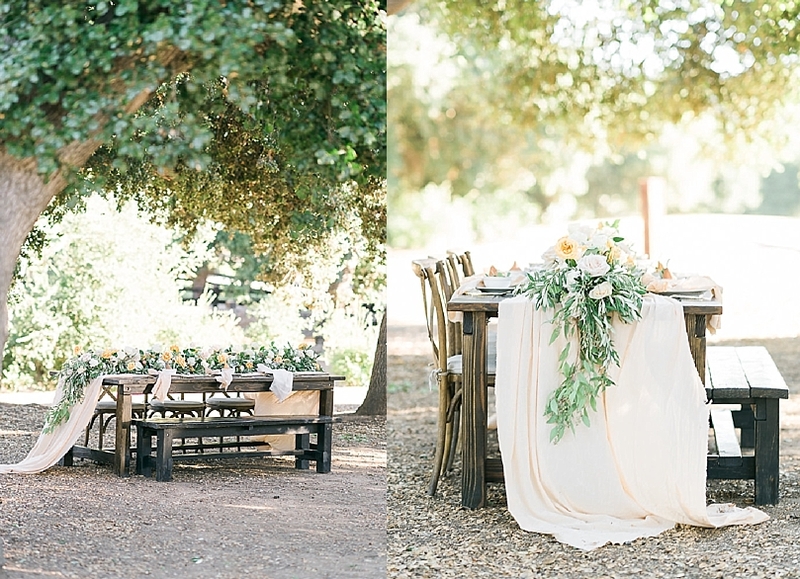 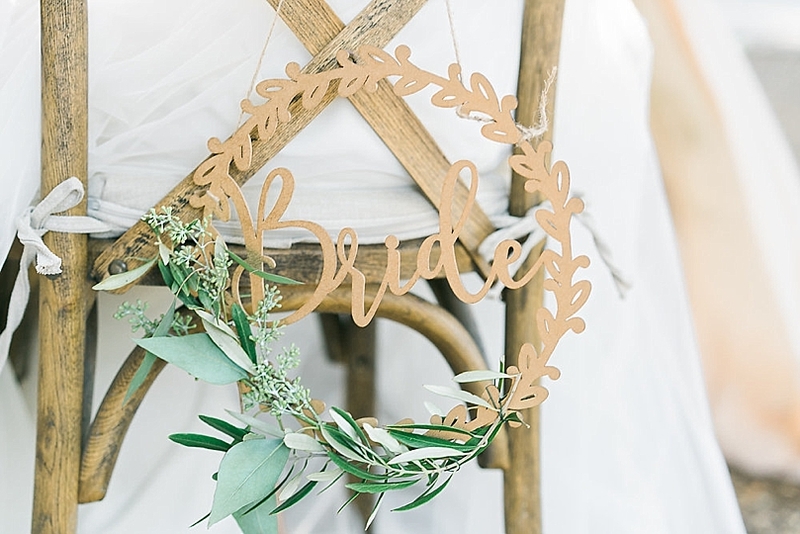 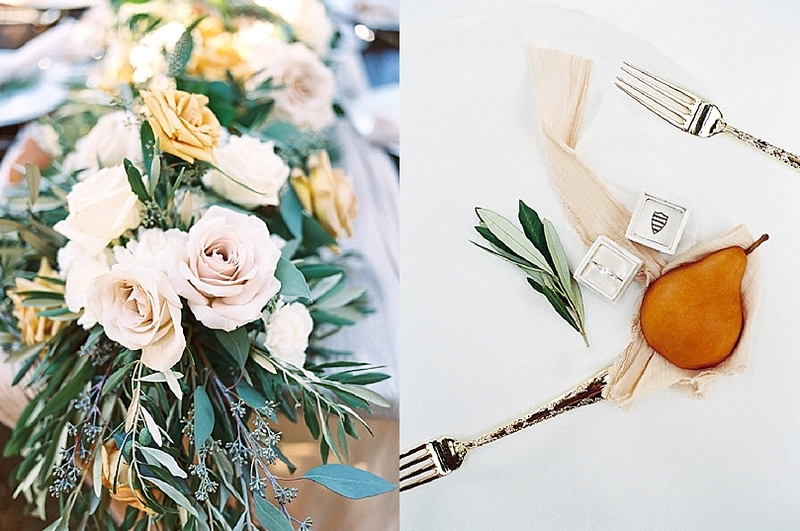 Emily also designed and crafted stunning, natural garlands for the oak trees and swing. 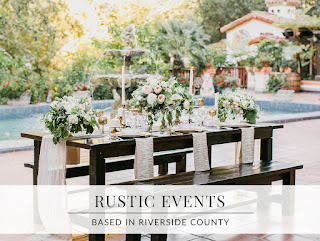 Keeping true to organic textures, we used a champagne colored gauze table runner layered atop gorgeous farmhouse tables by Rustic Urban Events. 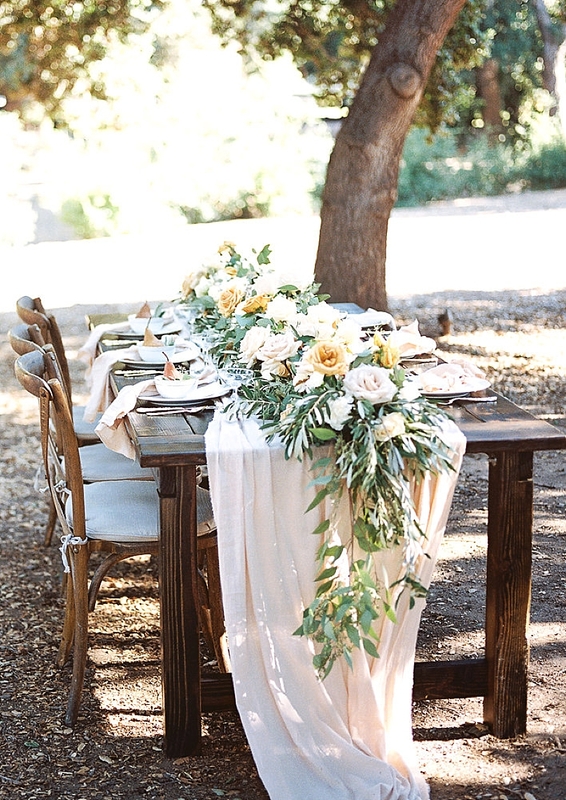 We absolutely adored the gold silverware provided by Birdie in the Barn Rental Company, which added the perfect touch to our tablescape. 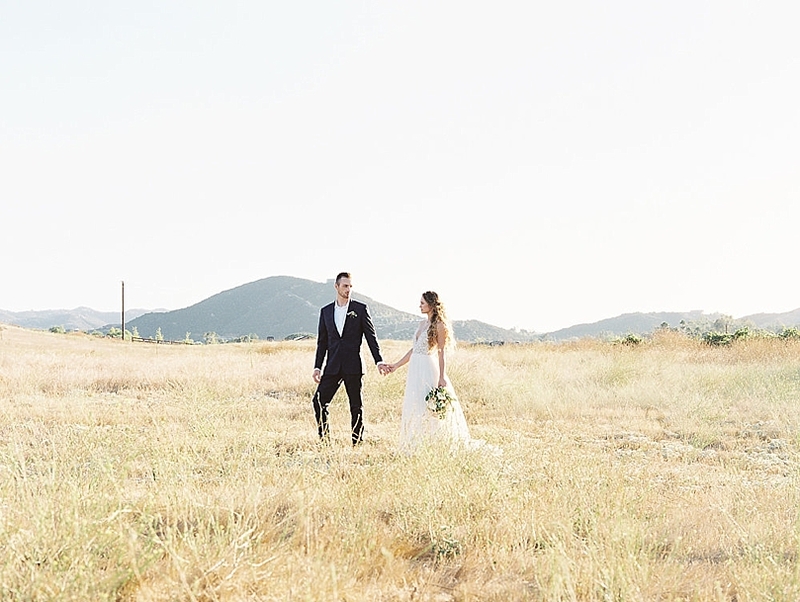 This real couple was the embodiment of natural, yet simple elegance. 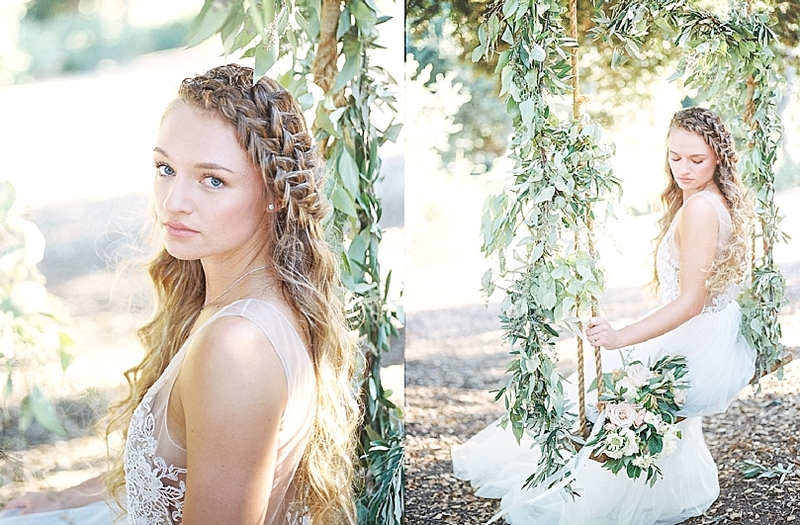 The hair and makeup design by Boss Beauty Team focused on loose curls with simple, modern braids and neutral toned makeup. 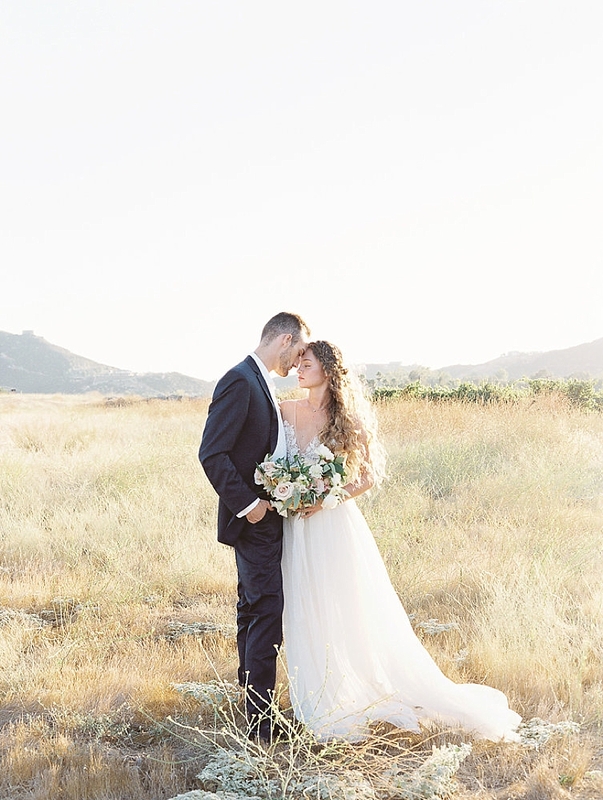 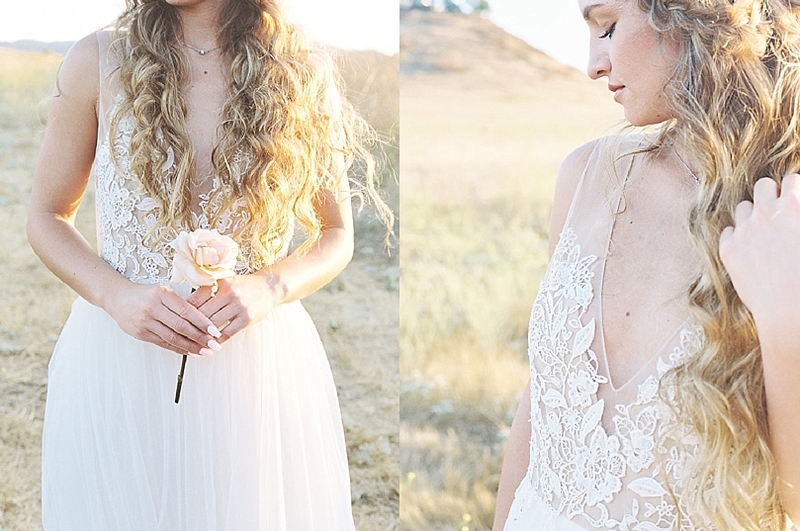 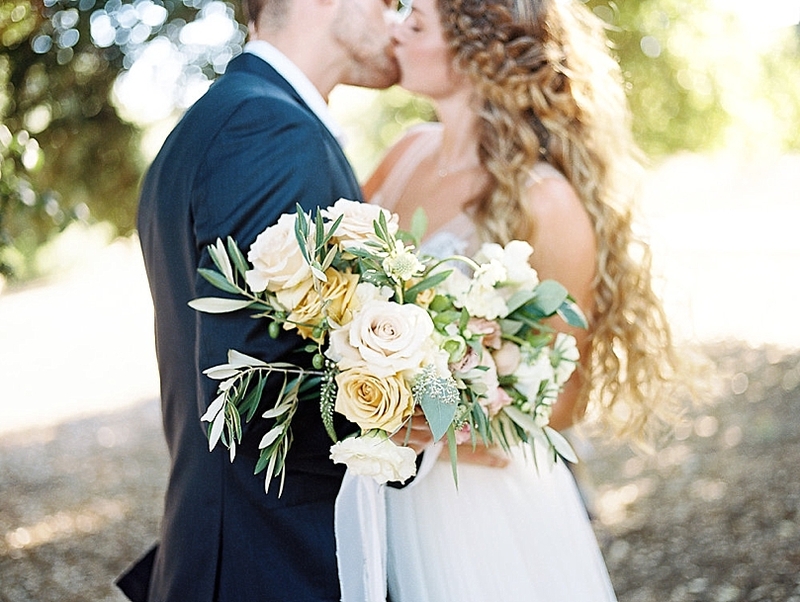 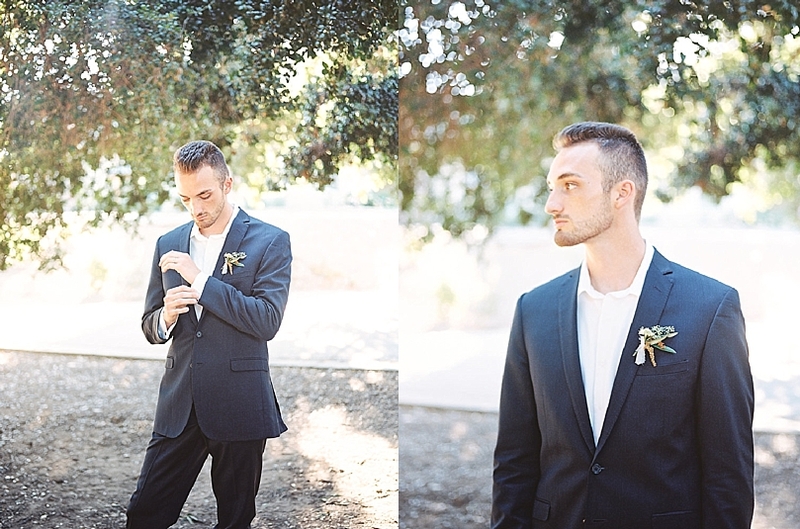 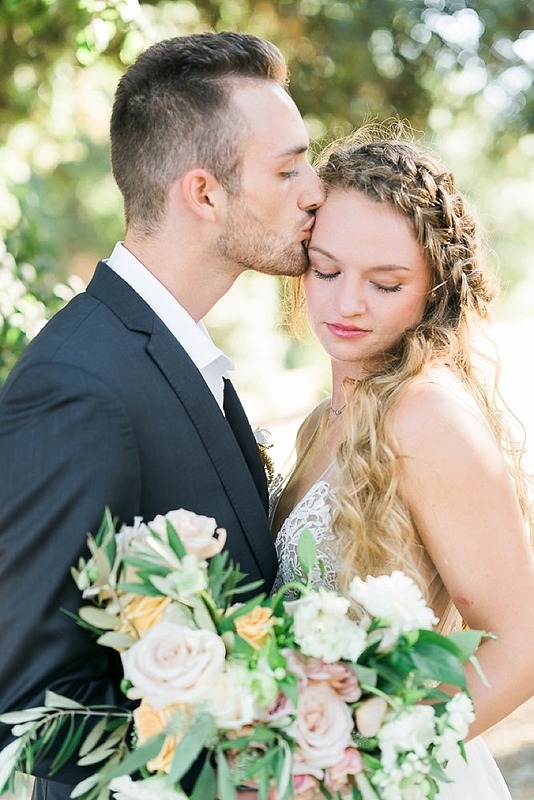 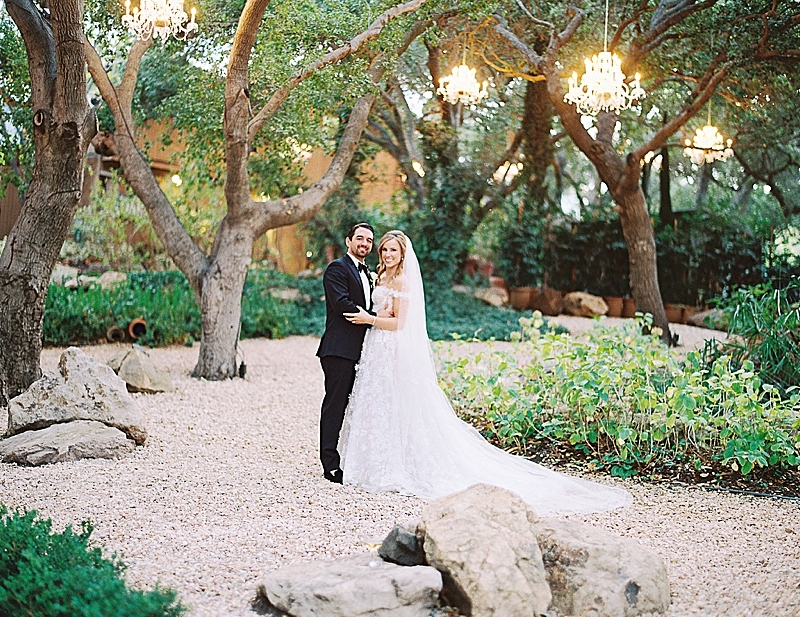 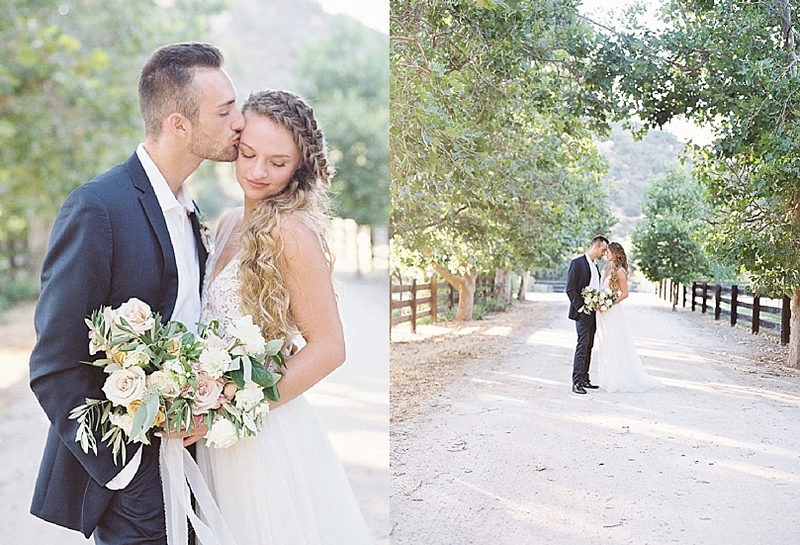 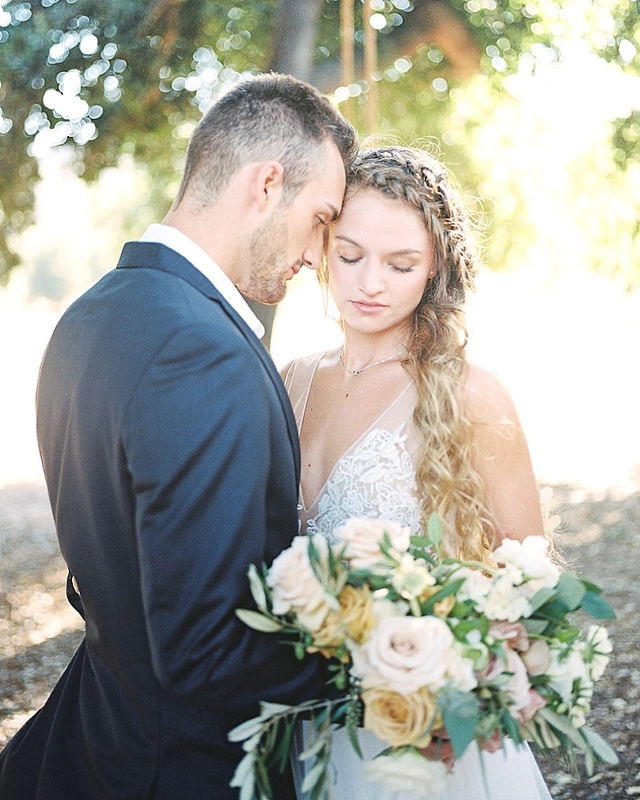 We felt natural, organic elegance come together beautifully with the gown provided by the San Diego Dress Theory. 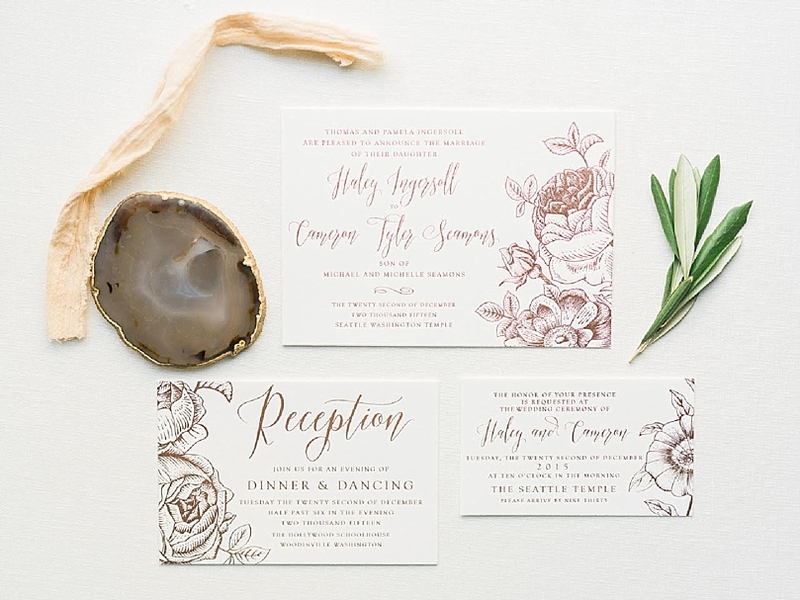 Our invitation suite by Rowley Press centered on beautiful rose gold colored letterpress design. 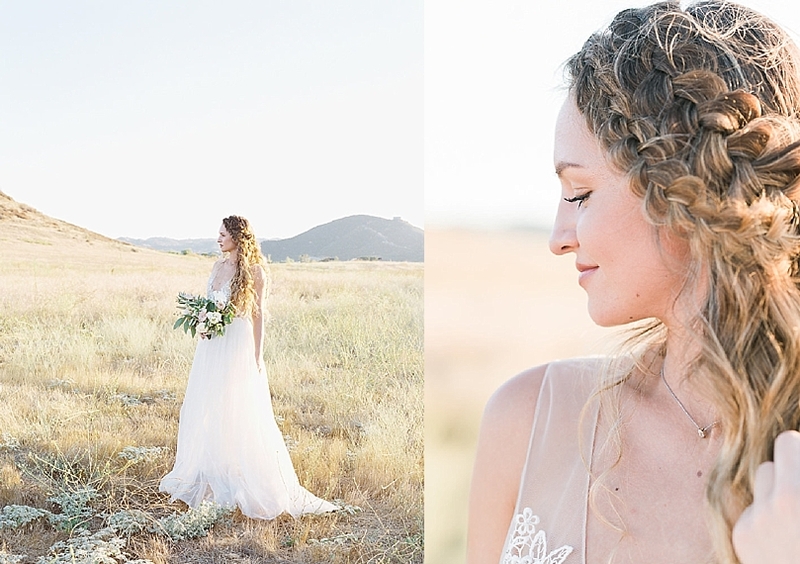 We wrapped up the shoot in a lovely open field to cohesively tie together our color palette. 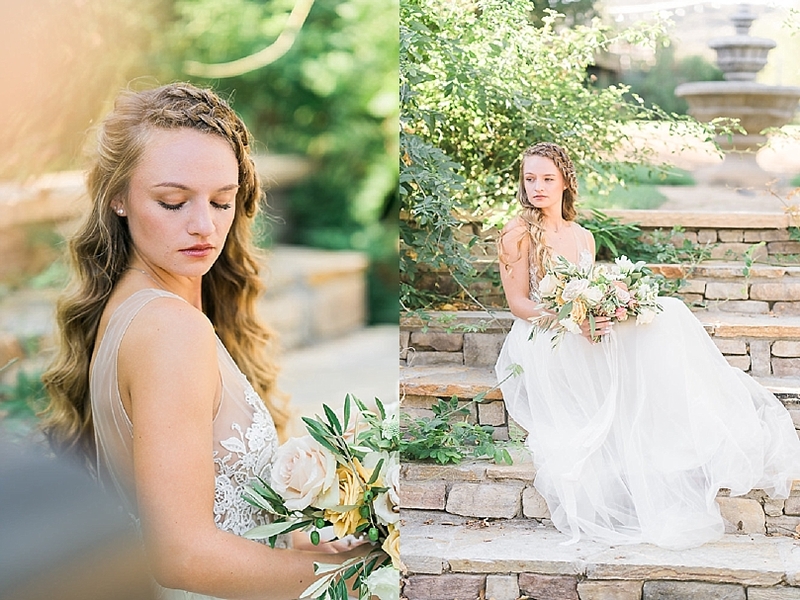 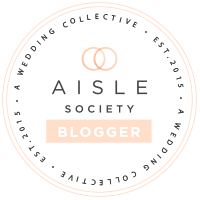 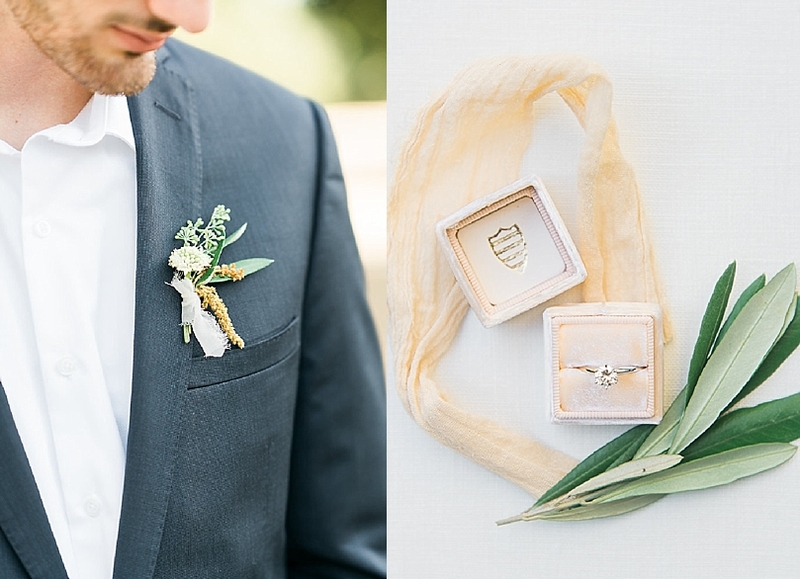 We hope the details and colors of this wedding inspiration shoot speak to your heart just as much as they did to ours!"